The intercepted phone conversation of ex Petroleum minister, Mrs. Diezani Alison-Madueke, has shown that she connived to steal money. 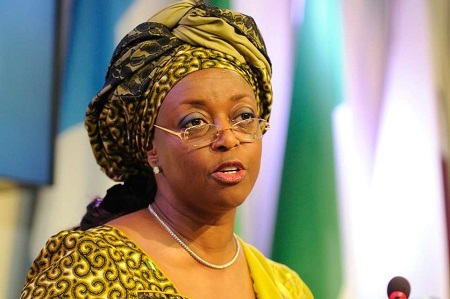 Telephone conversations by Mrs. Diezani Alison-Madueke, former Petroleum Resources Minister, have revealed that she deliberately connived with her business partners to steal Nigeria’s oil money. As Petroleum Minister between 2010 and 2015, Mrs. Alison-Madueke used her influence to facilitate illicit business opportunities for Messrs. Kola Aluko and Jide Omokore, who used shell companies to receive billion-dollar contracts to sell Nigeria’s crude oil. The oil swap contracts were the controversial Strategic Alliance Agreements (SAAs) through which middlemen were used to sell Nigeria’s crude oil in exchange for refined products. The telephone conversations were intercepted by US prosecutors tracking money laundering and hefty bribes paid out to Mrs. Alison-Madueke and are contained in an assets forfeiture court process filed against the former minister and Messrs. Omokore and Aluko by the US Department of Justice in Houston, Texas. Atlantic Energy Holdings Limited and its subsidiaries, Drilling Concepts Limited (AECD) and Atlantic Energy Brass Development Limited, owned by Messrs. Omokore and Aluko, were deemed ineligible for the multi-billion oil contracts they got and were, eventually, found to performed obligations stated in the agreements. In a recorded phone conversation with Mr. Aluko, US prosecutors quoted Mrs. Alison-Madueke as saying: “We stuck our necks out regarding the SAA and we supported it." The CBN also noted that the arrangement was designed “for the purpose of acquiring assets belonging to the [Federal Republic of Nigeria] and transferring the income to private hands”. AEDC and AEBD, incorporated in July 2010, about three months after Mrs. Alison-Madueke became Petroleum Resources Minister, were awarded eight oil mining leases (OMLs) evidently on procedural manipulations carried out by Mrs. Alison-Madueke. The eminently opaque deals delivered astounding wealth to Messrs. Omokore and Aluko, who bought and renovated choice London properties for the former minister. They renovated the properties, including fitting one with an elevator that was later removed; bought her furniture worth millions of dollars and bore her living and lifestyle expenses in London. In one day, he was found to have wired $461,500 as payment to a Houston-based furniture retailer from which he bought items for the use of Mrs. Alison-Madueke. Part of the living and lifestyle expenses was the payment of £135,361.48 to a company that chauffeured Mrs. Alison-Madueke, her mother and other members of her family around London. Messrs. Aluko and Omokore also drenched themselves in obscene opulence, including the the former’s acquisition of a $50 million luxury condominium in New York and the $80 million yacht, Galactica Star. The Galactica Star hosted the 32nd birthday of American music superstar, Beyonce, as she travel on the yacht with her famous rapper husband JayZ in 2013. In another phone conversation intercepted by US investigators, Mrs. Alison-Madueke, conscious of the scam-ridden transactions, warned Mr. Aluko against unbridled display of ostentation, particularly with respect to the purchase of the yacht. “If you want to hire a yacht, you lease it for two weeks or whatever. You don’t go and sink funds into it at this time when Nigerian oil and gas sector is under all kinds of watch,” she said to Aluko in the recorded conversation. 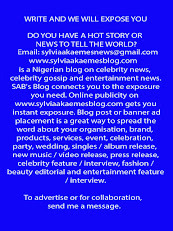 Her warning, however, went unheeded by Mr. Aluko, who splashed $80million on the luxury yacht. Messrs. Aluko and Omokore, the court papers revealed earned over $1.5billion in revenues from the sale of Nigeria's crude oil. They laundered the sum into the US and United Kingdom through purchase of properties and other luxury items for themselves and Mrs. Alison-Madueke.